If you’re renting an apartment or home, your landlord’s insurance policy will cover any damage to your residence, right? Not necessarily. To make sure you're protected in the event of a fire, burglary or other disaster, you may need renters insurance. In addition, some policies provide liability coverage should a visitor be injured or their property damaged while in your home. Some policies cover living expenses if you’re forced to live elsewhere due to a covered loss. Q: “My landlord’s policy covers everything, right?” A: Wrong. In most cases, a landlord’s insurance only covers structural damage to the home. If your building were to catch fire, your landlord’s coverage would likely cover structural repairs, but not your personal possessions. Renters insurance helps fill in the coverage gap by protecting your personal possessions. Q: “Do I really need renters insurance?” A: If your apartment or home contains anything of value, yes. According to the U.S. Department of Justice, a rented property is 79% more likely to be burglarized than an owned property. If your possessions are lost due to theft, fire or certain weather-related causes, you would likely be on your own to replace them if you’re without renters insurance. Q: “How does renters insurance reimburse lost, stolen or damaged items?” A: There are two basic types of renters insurance: actual cash value and replacement cost coverage. Actual cash value pays the cost to replace your items minus the depreciated value. Replacement cost coverage reimburses the full amount you paid for the items. Replacement cost coverage is typically going to lead to higher renters insurance rates, but pays out more should you file a claim. Q: “I don’t own very much. Why do I need renters insurance?” A: Most renters would be surprised to learn how much it would cost to replace every item in their home. Furniture, electronics, clothing, footwear, major appliances, dishes, silverware—the average renter owns a lot of stuff! If you were to lose it all, even a week’s worth of clothing and a new dresser could set you back hundreds, if not thousands, of dollars. Q: “Do college students need renters insurance?” A: College students living off-campus should consider investing in a renters insurance policy. According to the Insurance Journal, the average student will bring between $5,000 and $10,000 worth of personal property to college. Most landlords' policies only cover the exterior and infrastructure of the building, leaving the student responsible for his/her personal possessions. Q: “What’s liability insurance? What does it cover?” A: Personal liability protection covers unintentional bodily injury and property damage. For example, if a guest in your home is unintentionally injured and sues you for damages, personal liability insurance protects you against financial loss up to your policy limit. It may also help cover legal defense costs. Q: “Is my roommate insured under my renters insurance policy?” A: Probably not. Renters insurance policies are designed for single individuals and families, not unrelated individuals. 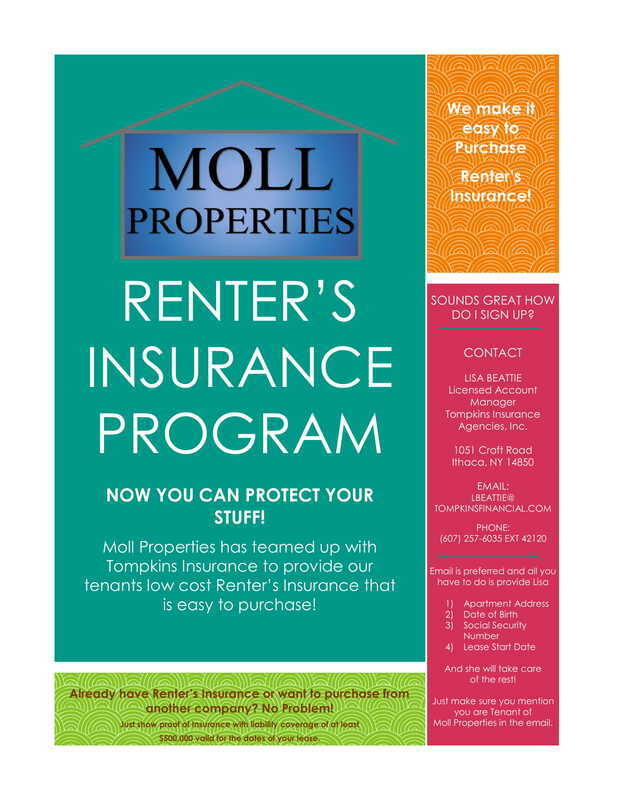 Insurance companies recommend each tenant purchase an individual renters insurance policy. Some insurers cover roommates if they’re included as additional insureds, but it’s by no means the rule. Q: “Are expensive items covered?” A: Depending on the value of the item and your policy limit, extremely valuable items may not be covered by a standard renters insurance policy. If you have a particularly valuable item, like jewelry or an antique, you may need to speak to an insurance agent about a separate rider. Q: “Who pays living expenses while my home is being repaired due to damage?” A: The loss of use provision in your renters insurance policy should cover your temporary housing expenses while your home is being repaired. However, depending on your policy, coverage may be limited to a few months or a fixed dollar amount. Check with your insurance agent for specifics. Q: “What else does renters insurance cover?” A: Renters insurance can extend beyond the occasional household theft or damage. If your luggage is stolen while on vacation, some renters insurance policies will reimburse your losses. If an item is stolen from your car, it will likely be covered by renters insurance too. Q: “How much does renters insurance cost?” A: According to the National Association of Insurance Commissioners, the average cost of a renters insurance policy is between $15-$30 per month. Q: “How can I find the best renters insurance rate?” A: Renters insurance is already a bargain, but there’s no reason a great deal can’t be made even better. Keeping a healthy credit score, and investing in multi-line policies (auto and renters insurance with the same company) are just a few ways you can save on renters insurance.